From a young age, Anne, a former special education teacher from Atlanta, Georgia, learned about compassion and care through her mother’s actions, as mom and daughter accompanied one another to local events in support of improving the community. Even back then, by her mother’s side, Anne understood that some kids are less fortunate than others. And, unlike Anne’s own experiences growing up, many children sadly lacked the necessary parental support, unconditional love, and consistent guidance from a trusted adult, they so deserve. After the birth of Anne’s sons, Wesley and Drew, she was excited to carry on the values learned from her mother, Evelyn. Not only did Anne want to provide her own sons with the love and care they needed to ensure they thrived in life, but she wanted to teach them the value of giving back. By serving the community and specifically helping children, Anne hoped to make even a small difference in the lives of children. Anne was excited to collaborate with an organization developing a program which helped serve children in the Atlanta hospitals battling cancer. It would also serve as a respite for the parents when the organization’s members would visit. “This opportunity reiterated, that life is precious and can be so short, so we need to count our blessings, always,” Anne says. For the past three years, Anne has been hosting Bowl for Kids’ Sake (BFKS) events to raise funds for Big Brothers Big Sisters of America of Metro Atlanta. BFKS is Big Brothers Big Sisters’ signature fundraiser. Each year, Nerium Brand Partners organize these events – in conjunction with the Nerium Ripple Foundation – to raise money for their local BBBS Affiliates. The Nerium Ripple Foundation encourages Brand Partners to build teams and make it a very fun and interactive event, with prizes, creative team names, and more. 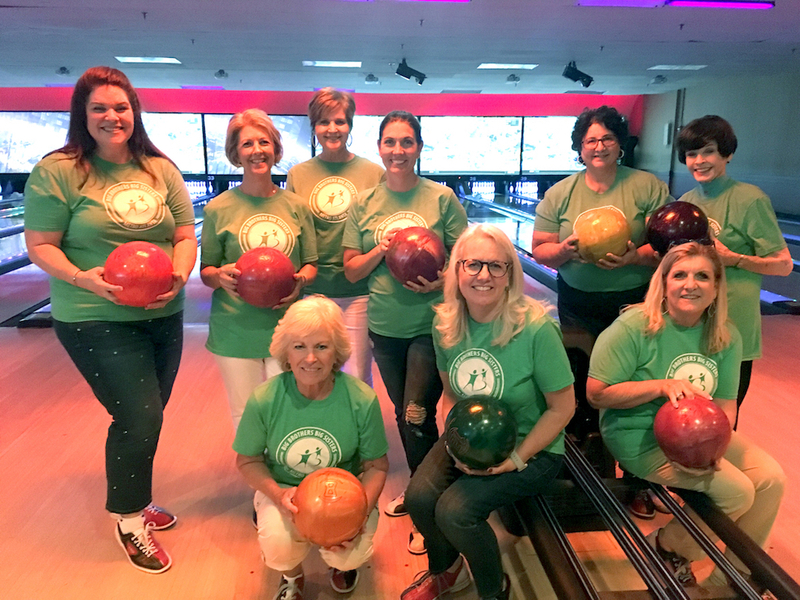 On May 19, 2018, Anne along with several other caring Nerium Brand Partners raised over $700 while having a blast bowling at a local Bowlmor. The Nerium Ripple Foundation will match a percentage of funds raised from the event. 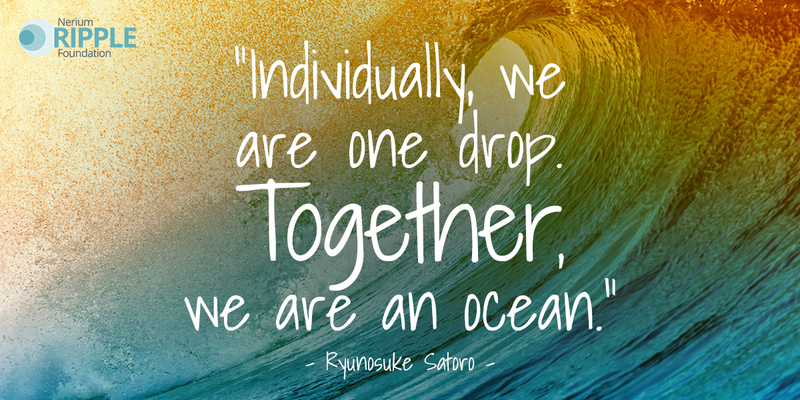 It takes a dedicated team to accomplish large fundraising goals. “Growing up playing sports, I learned to understand the importance of teamwork,” Anne said. She said her Dad taught her that “No Man Is An Island.” Achieving goals require effort from almost every individual on the team. To promote the BFKS event, Anne worked with her local BBBS chapter to set up an Eventbrite page, which helped to increase awareness for participation. In addition to organizing the event, Anne passed out envelopes for donations. Each Brand Partner in the area was given an envelope which consisted of 10 lines – each line for $10 donations. Anne then ran a contest for the top 10 fundraisers to receive 30-minute coaching calls from top Nerium leaders. “I’m so proud of Anne and her team,” says Nerium Co-Founder and Chief Leadership Officer Renee Olson. “Nerium International Brand Partners are incredibly dedicated to our company’s mission of Making People Better which is why Brand Partners’ contributions to the Nerium Ripple Foundation is so special,” Olson says Nerium appreciates all the effort and hard work of our valued Brand Partners. “Anne’s love for children is so strong that she has committed to action and with the help of her team, they are making a difference in a child’s life,” says Olson. Anne has been a Nerium International Brand Partner since 2012. For Anne, there’s nothing else like Nerium out there. She shares the company’s vision, believes in the company’s direction and leadership, and loves being a Brand Partner. She appreciates the skincare products, but Anne is over the moon about the development of the wellness line. Youth Factor and EHT are her favorite wellness solutions and she believes that Nerium’s wellness line has benefited her tremendously. But, above all else, Anne appreciates how Nerium works to ensure the best interests of All Brand Partners. She is very grateful for the entrepreneurial part of Nerium; however, she is thrilled to be a part of a company that promotes philanthropic endeavors as well. It’s good to know that with the help of Brand Partners, like Anne, the Nerium Ripple Foundation is one step closer to delivering on the wishes of a child in need.